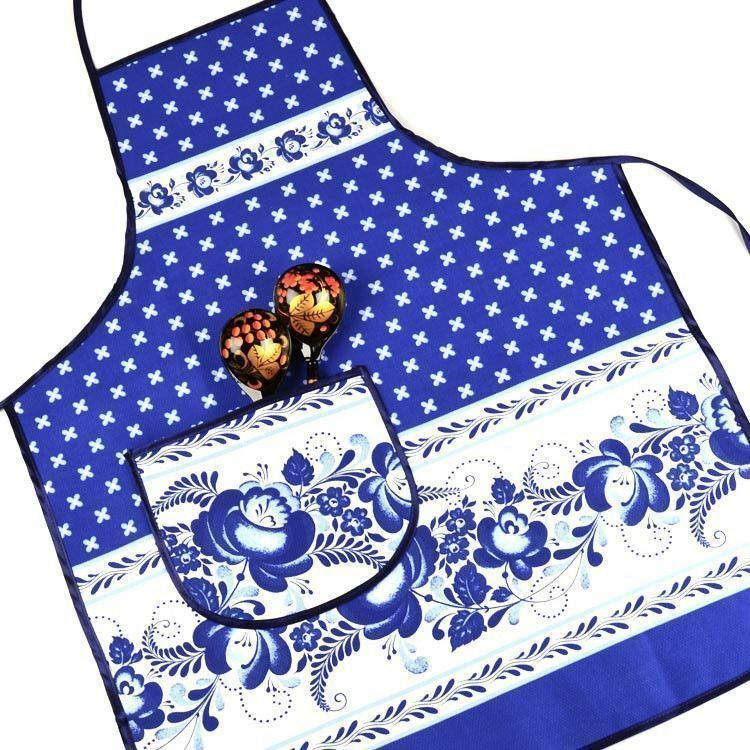 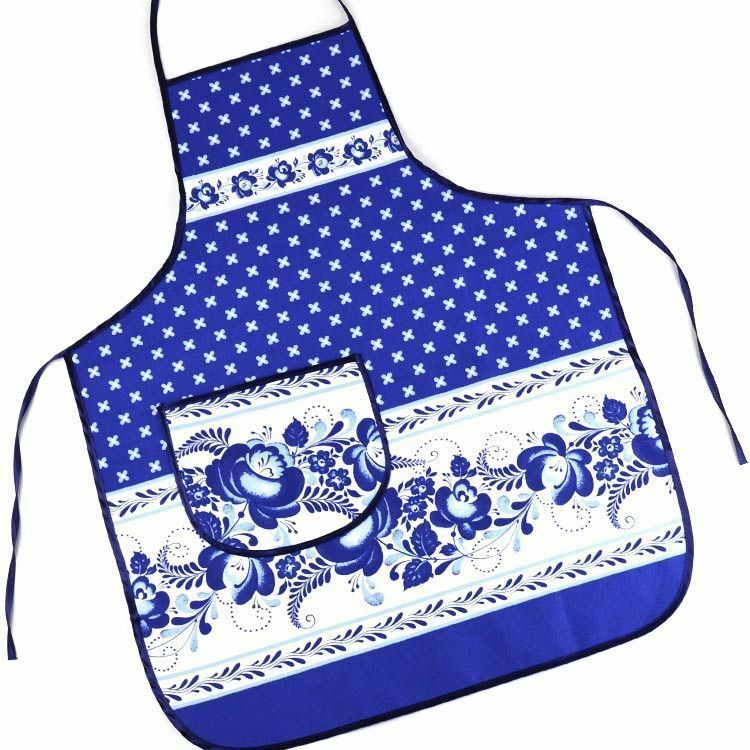 This simply stunning blue and white apron features a Russian Gzhel design pattern and it is Approximately 26" long and about 21" wide (not including strings). 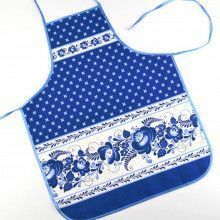 There is one pocket on the front which could be used to hold a variety of things such as ladles, pot holders, or a cleaning cloth. 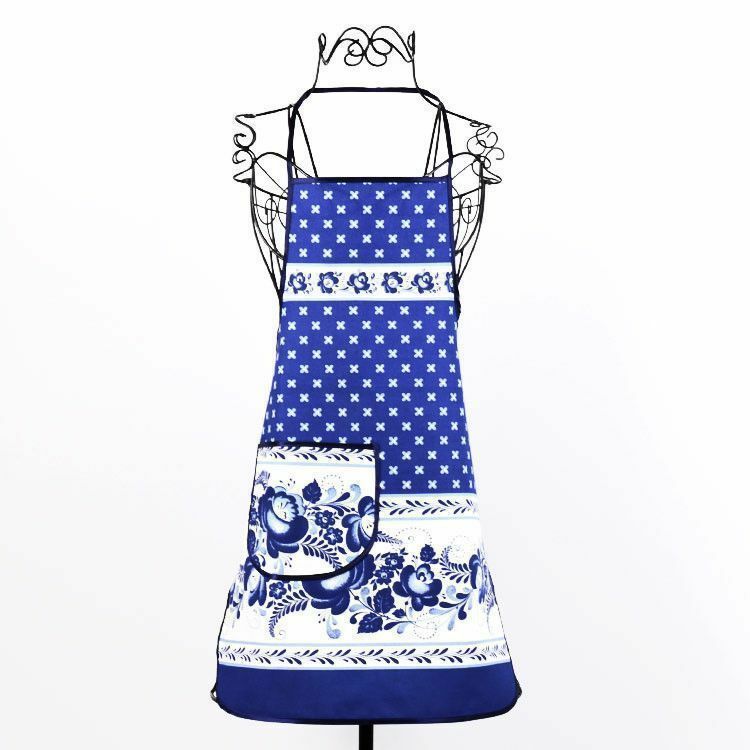 Anyone who cooks often would appreciate such a practical and beautiful apron. 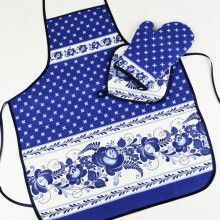 Unique gift idea for cooks and bakers!